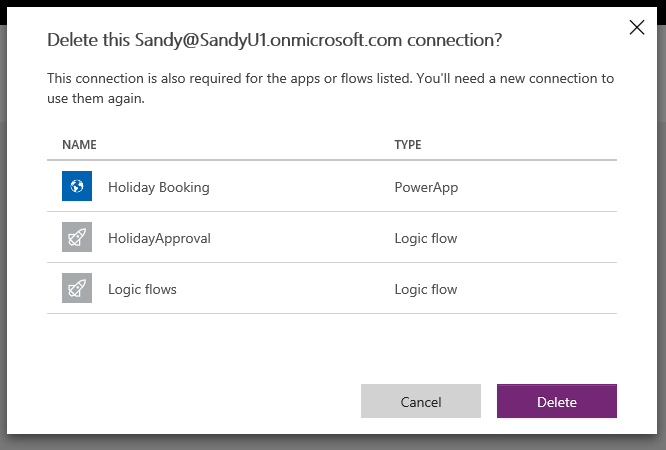 PowerApps/Flow: Deleting a Connection | Where have the days gone? 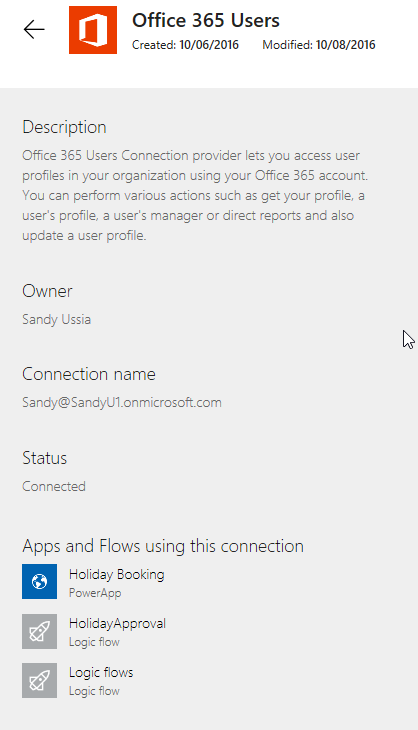 Then, if you need to investigate a bit further, you can click on one of those icons, to see how it’s related. 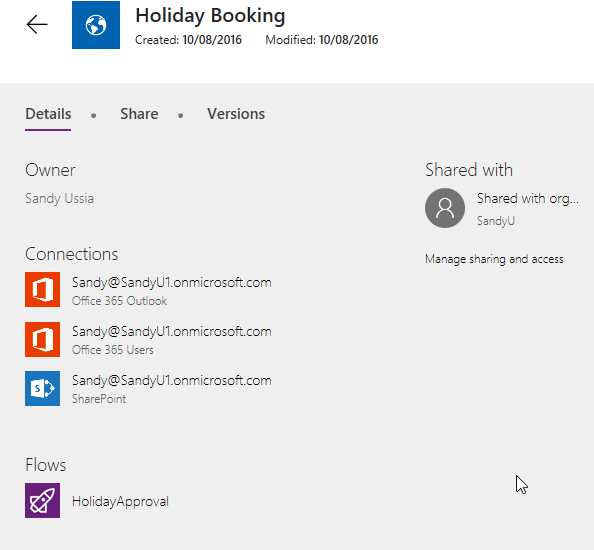 For example, I clicked on my Holiday Booking PowerApp icon to see the several connections and the Flow that it uses – also very helpful information! In addition, there are tabs to see who this app has been shared with, and its versions. 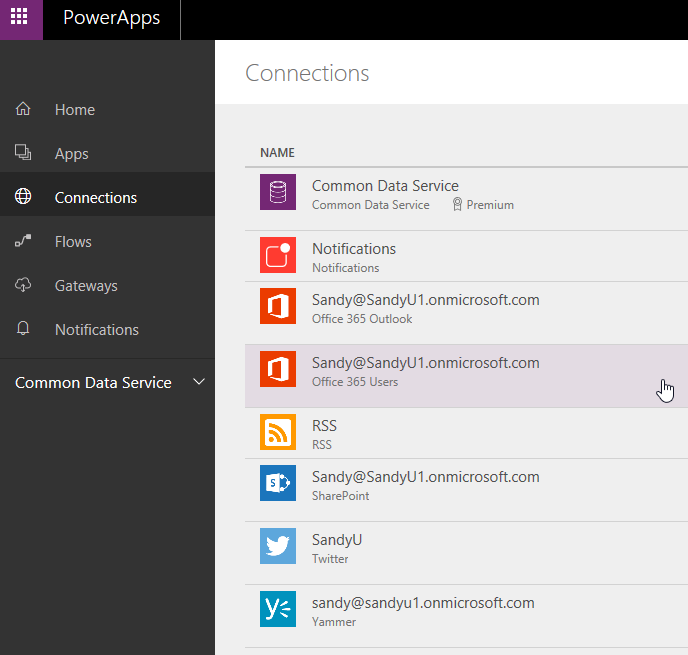 Of course, you can get to this information from the list of PowerApps as well, but it’s cool to be able to see it here, where you’re working with your connections. NOTE: The behavior and screenshots documented in this post were current as of February 2017. They may be different at a later date.